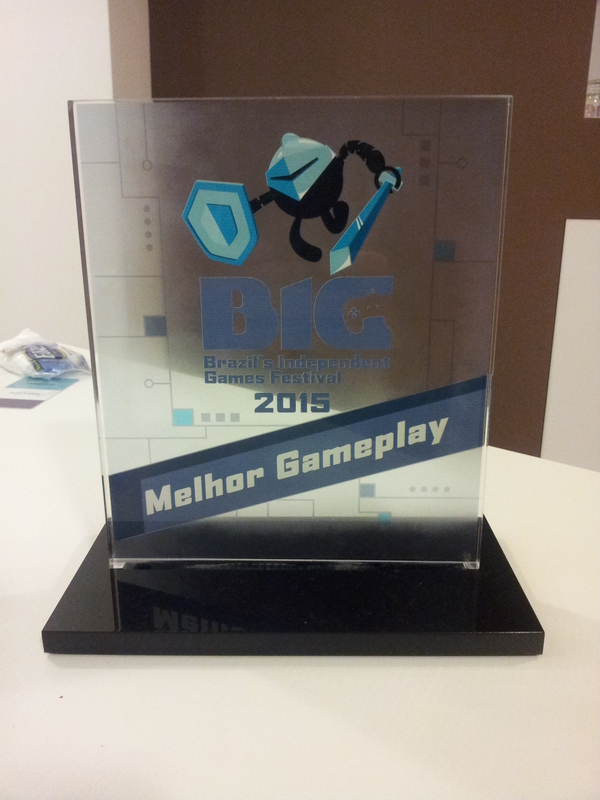 July 03, 2015 – Sao Paulo, Brazil– Coffee Powered Machine is thrilled to announce that its game, Okhlos, was chosen from among 700 hundred competitors from all over the world as the winner of the Best Gameplay Award, at the Brazil Independent Games Festival. Brazil Independent Games Festival (BIG Festival) is the largest one of its kind in Latin America and the third largest in the world, with almost 700 hundred submissions this year from countries from all around the world. Of the games submitted, 50 were chosen to be showcased at the festival. Last night, during a ceremony in Sao Paulo, 9 awards were presented, and out of the 5 finalists in the Best Gameplay Category, Okhlos arose as the winner. Melhor means Best in Portuguese! Earlier this year Okhlos was chosen to be part of the Leftfield Collection and showcased at the EGX Rezzed in London, so this would be the second time the game receives an international honor. We promise to do a more comprehensive post about this, and our experience in Saõ Paulo in the future, but right now, we wanted to share this awesome news with you guys! And thanks for the congratulations!